Creating Unique Itineraries to Cool Destinations at Competitive Fares. We are an Incoming Travel Agency and Tour Operator. Our competitive edge sharpens as we continue to provide a wide range of services for discerning clients. At Mazada Tours, each and every group receives premier, VIP services through all phases of travel, and this makes all the difference: ensuring a very high rate of customer satisfaction under all possible circumstances. With over three decades of experience providing unprecedented service to countless satisfied tourists, Mazada Tours has firmly established itself as the premier tour operator for Foreign Incoming Tourists (FIT’s) to Israel, Jordan, and Egypt who demand the best and always get it. We have developed long-term relationships with travel agents and tour companies throughout the world with an emphasis on the U.S. and European markets, and we have collaborated with them in providing their groups with unique and authentic itineraries augmented by impeccable logistics and personal service. We were originally branded as the “Mideast Experts”, but our partners from around the world now call us the “Mideast Matchmakers”. Our distinguished “Account Managers” are personally assigned to your company, and they are available 24/7 to meet your dynamic and multifarious needs. These Managers will conduct an initial, in-depth survey with your company to determine the precise accommodation needs for your clients, as well as all other necessary inputs to insure quality and comfort. They will also provide you with special perks that will greatly enhance the end-users’ overall experience, virtually guaranteeing a repeat customer culture. Over the years, Mazada Tours has acquired special permits that will enhance the planning process, guaranteeing a seamless sojourn through the various domestic bureaucracies involved in handling groups and FIT’s. 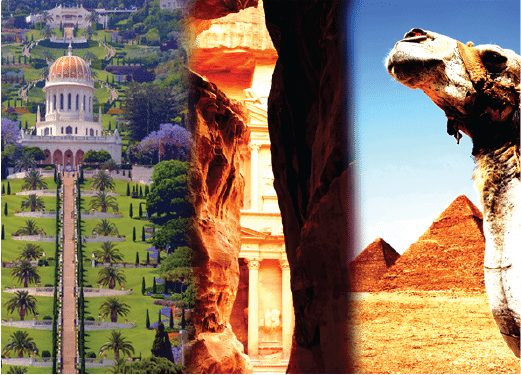 We have a special license that enables us to provide your groups with required, advance visa issuance for visits to Israel, Jordan and Egypt. We are also able to provide other unique services that our competitors could never supply. 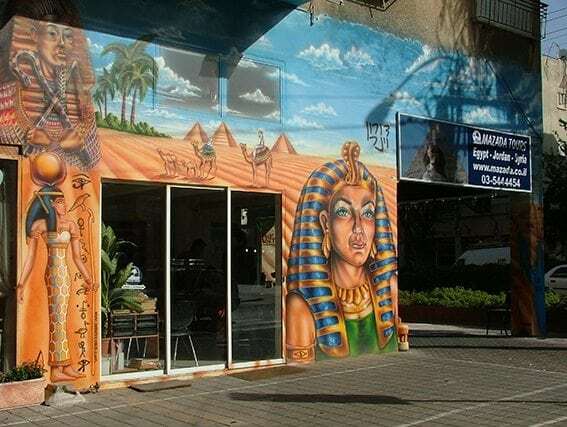 Long-term partnerships with regional specialists in Jordan and Egypt strongly enhance Mazada’s positioning in the Israel incoming tourism market segment. Our alliances with Middle Eastern concerns operating indigenously, in-country, provides synergistic economies of scale where local expertise abounds and savings accrue. Comprehensive and accurate knowledge has always been considered a rare and precious commodity in all fields of endeavor, and in all honesty, this is the primary raison for tourism consultations today. Any travel adventure will be augmented through the acquisition of pertinent local knowledge of the destination. However, this need for knowing the lay of the land and where to get a good kabob is especially critical in the Mideast region. Your search for the ultimate booking should cease here. We serve all client cadres, so Choose Mazada Tours: The Mideast Experts. Part of the key to our continued success centers on the fact that we have always been a “one-stop-shop”, providing all types of tourism services under one roof. We have trusted and dedicated partnerships with Jordanian and Egyptian suppliers who share our culture of trust and who will insure top quality service and customer satisfaction without compromise! Please contact one of our representatives now so that we can assist you in planning and executing your next group tour. The sooner we enter the picture, the more efficient we can be in assessing and meeting your group’s unique needs. Mazada Tours has provided unparalleled travel services to over 2.9 million satisfied customers for more than three decades. From the moment that you choose Mazada Tours as your service provider, you will receive preferential, VIP status, and be assigned a personal “Account Manager” available for unlimited consultations on a 24/7 basis. We are dedicated to fulfilling all of your company’s most intricate needs: from the simple to the complex. Like all service sectors, the quality of hotel service is constantly in flux and must be monitored and assessed on a regular basis. We maintain close personal relationships with the leading hotels and therefore can guarantee the highest level of comfort and service for your customers. Mazada Tours has contracts with a wide range of hotels – we can provide the full spectrum of quality from three-star hotels to deluxe and on to the “difficult to classify” boutique hotels. Mazada Tours maintains a strict policy of sending a forward party to inspect a hotel prior to group check-ins and confirm that all of the rooms will be appropriate for the group’s needs. This advanced inspection by a Mazada Tours’ representative will also ensure a smooth transition where guests will move rapidly and seamlessly from buses and other forms of overland transportation to their rooms. Mazada Tours has cultivated unique relationships with government organizations which allows it unique access to information that will ensure your safety and security when you travel and book services through us directly or with our partners. Mazada Tours Has earned a special government clearance which allows us to meet and greet your customers immediately after they have cleared passport control at ground crossings and airports, and we will assist your guests as they clear into Israel, Jordan or Egypt. Mazada Tours has been awarded a special license from the Ministry of the Interior that gives us the option to request visas for groups that need a visa to Israel, Jordan and Egypt in advance. 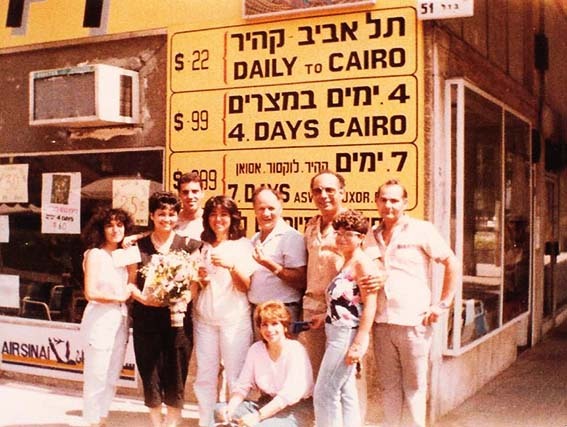 Mazada Tours has maintained offices in Israel as well as an autonomous representation in Jordan and Egypt. This representation will benefit you and provide flexibility and the convenient option of seamlessly arranging travel services in Israel, Jordan and Egypt. These uncompromising tourist services will increase customer satisfaction and facilitate repeat business transactions. Here are two simple words that position Mazada Tours on a rung above all the others: KNOWLEDGE & EXPERIENCE. We will provide you with game-changing information backed by the irreplaceable ingredient for all successful journeys: tour-groupdeep local knowledge and familiarity with indigenous customs and current social and political trends prevalent at the time of your sojourn.No technology extant today can replace the vital human element of personal experience that in turn unveils for you the essential information required to meet your travel needs. Moreover, Mazada Tours also has long-standing relationships with the security forces in Israel, Jordan and Egypt who will ensure the safety and comfort tour group. Therefore, your clients can constantly feel unencumbered and safe on their journey, maximizing a positive experience. The Middle East is considered to be the cradle of civilization and is as perennial as life itself. Let’s develop a lifetime business relationship that will stand the test of time. The time to begin is now.